No short cuts. We love to step outside of the box, try new things, and we hope you'll like it too! A German-style Kolsch made with pilsner and wheat malt. Classic apple and pear notes from the special strain of yeast used make this light refresher complex and enjoyable. A Belgian-style witbier made in the traditional sense, but without the typically-used coriander and citrus additions. This leaves a pleasing doughy wheat ale that is refreshing and flavorful, with subtle clove notes from the yeast used. A slightly-sour fruited wheat ale. Made with soursop (a tropical fruit) and tangerines. Tangy stone fruit and citrus dominate. Today’s secret word is...Kiwi! A sour wheat ale that used over 800 pounds of fresh pressed kiwi juice direct from our friends at Mission Trail up at Monterey County. Big kiwi aroma on the nose with a medium mouth- feel, and tangy citrusy finish. A bone dry west-coast double IPA. Heaps of CTZ, Centennial, Citra, Simcoe, and Loral hops make this one stanky danky. The Sarge would approve. To catch the hop, you must become the hop. A big boozy warmer of a beer. Lots of sweet caramel and malt flavor with a enough alcohol to knock you upside the head. Enjoy responsibly!  Established in 2000, the annual Los Angeles International Beer Competition gathers an esteemed panel of judges together. The competition uses a blind-tasting method to award medals to the best beers from around the world. HopSaint took home two gold medals! Everyone at HopSaint is proud of the wins and humbled to be in the company of brewers we respect.